A Scottish fairy-tale city that stole a piece of our hearts. Edinburgh, you can keep it – as you’ll be with us forever. We’re going to preface this post with this honest spoiler – it’s difficult to write about Edinburgh without getting a little choked up. In a happy way, don’t worry. 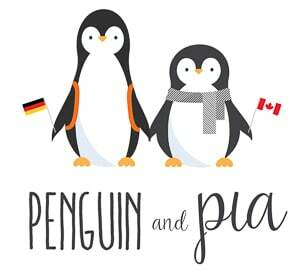 Simply put, we have a deep connection with the city – as individual travellers, and as “Penguin and Pia”. For Lisa, she completed an internship in the city having visited Edinburgh before (and being European, lucky). She fell in love with the city as a high schooler heading to university and has always looked for excuses to head back and enjoy its cobblestoney glow. Edinburgh is a special place for us for obvious reasons. You know, the whole “this is where Eric and Lisa met” kind of reasons. It’s the backdrop to our love story, and we’re so grateful for a love of photos and adventuring in Edinburgh to bring us together. If you want to learn more about our first trip together – you can read our backstory on how we fell in love on Instagram. That said, we know Edinburgh – and we’re lucky to have such a vast amount of knowledge about the city. 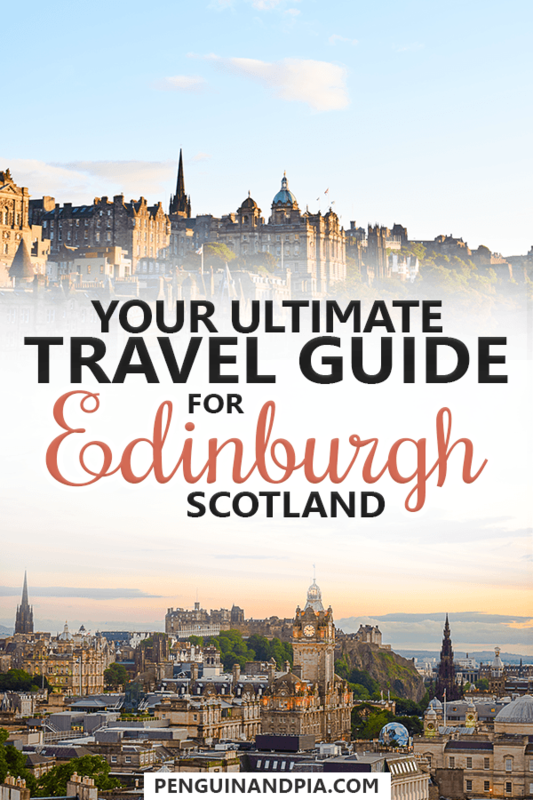 For Edinburgh tips and travel knowledge – in the summer and the Scottish wintertime we’ve complied for you… drum roll, please! Since there’s so much to cover, we’ll divide the Guide into eight posts – each post covering a different topic in-depth. We’ll tell you about our favourite spots for food and drinks, the best hikes or wanders, the best photo spots, and all the things to do that we enjoyed! We’ll tell you about Calton Hill, but Eric will write an entirely separate post about that hill top. They go way back. If you’re looking for tips on where to eat for breakfast, lunch, and dinner – read here for the Best Places to Eat in Edinburgh. If you’re itching for photographs of the city, read here for our Best tips for Photo Spots in Edinburgh that will make other people go “holy penguin”. If you’re thirsty to get a little tipsy with beer, cocktails, or live music, read our extensive list of the Bars and Pubs in Edinburgh. If you’re seeking out things to do, climb, hike, or see – you’ll enjoy our post on Things to Do in Edinburgh: Free & Paid Activities. We know you’ll want this one! 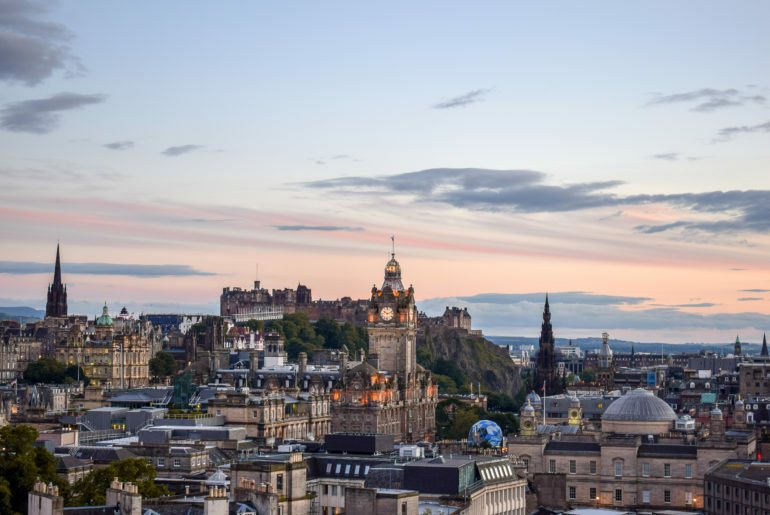 If you’re crunched for time and feeling ambitious, we’ve developed the Ultimate Day Plan for Discovering Edinburgh in 24 hours – including all food, attractions, photos spots, and drinks. We’ve taken the best from all posts and made it easy for you to explore. Warning: this guide is NOT for the faint of heart. Enjoy at own risk! Looking for a hotel to stay overnight? We cover some of the Best Hotels and Hostels in Edinburgh for All Budgets. We’re at it again and sharing the 8 Awesome Day Trips from Edinburgh – from Loch Ness in the Highlands to Aberdeen, Stirling Castle, and more! Looking for coffee and cafes in Edinburgh? We always are, too! Here are 7 of the Best Coffee Shops in Edinburgh! Looking forward to continue sharing our knowledge of this beautiful city with you all. 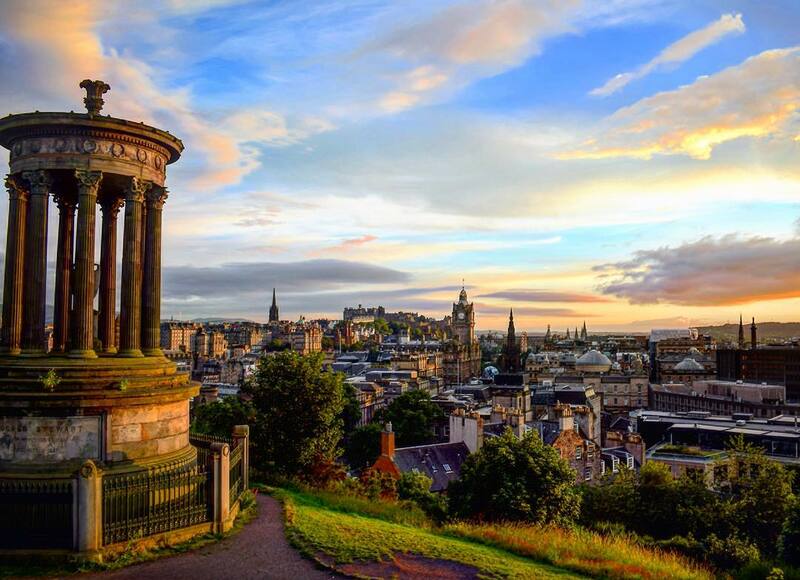 Until then, we’d love to hear your tips and thoughts about Edinburgh. Feel free to reach out and let us know if you like any of our ideas. Sharing is caring! And if you’re still looking for accommodation in Edinburgh, have a look here for hotel prices and availability.